In 2016, out of 1,000 fires in the State of Maryland a total of 1.7 deaths and 8.5 injuries were reported as per the U.S. Fire Administration (USFA). One starts to appreciate these numbers once you look at the national statistics – for 1,000 fire incidents in the US, 2.4 deaths and 9.3 injuries were reported in 2016. The State of Maryland has been able to contain damage to life and limb largely due to the efforts of its various fire departments. If you would like to join Maryland’s 4000+ strong firefighting force, then continue reading. The following requirements are likely to differ from city to city and county to county as there is no uniform set of admission requirements for prospective firefighters in Maryland. If you think you are ready to proceed onto the next step, then begin by applying online. If your application is approved, you would be notified via email or mail to take the written exam. This is likely to be timed, multiple-choice questions based test covering topics such as vocabulary, grammar and Maryland driving laws. Once you are done with the test, it will take about a month, if not longer, to grade it and mail the result to you. If you pass, you will be notified to appear for the physical ability test. Check with your potential employer whether they provide a study guide for the exam. This portion of the recruitment process gauges your physical strength and agility. You will be made to perform those exercises which firefighters commonly perform in their daily routine. So, expect to carry heavy equipment and climb ladders. Before taking this test, ask your future employer whether they offer practice test opportunities. If they do, avail the opportunity as it will maximize your chances of passing this phase of recruitment process. Graduating from a fire academy is usually the last step in becoming a firefighter in any state. 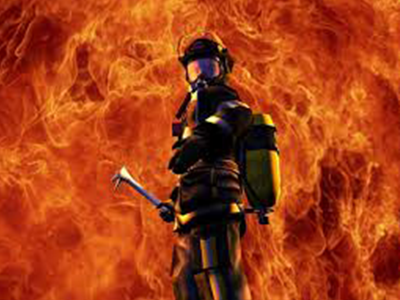 During the course of your training, you will learn fire preventing and firefighting techniques, in addition to learning how to drive fire trucks, emergency vehicle operations and emergency response to terrorism. You may also be asked to get EMT certified as part of your graduation requirements, which may also include passing fire academy’s written and practical assessments. Fire academy programs duration vary. On the whole, you should expect to be trained for four to six months. Once you graduate, you begin to serve your probationary period, which may last for one-year. Many fire departments offer career advancement opportunities to those who qualify. Once you are hired as a firefighter, you should aim to become a fire engineer, then lieutenant, captain, battalion chief, assistant chief, deputy chief and finally, chief. Some of the higher positions in this field require a college level degree in fire science or a related field such as public administration.